2019 was an amazing season for Pro Crease Goaltenders playing at the prep school level. 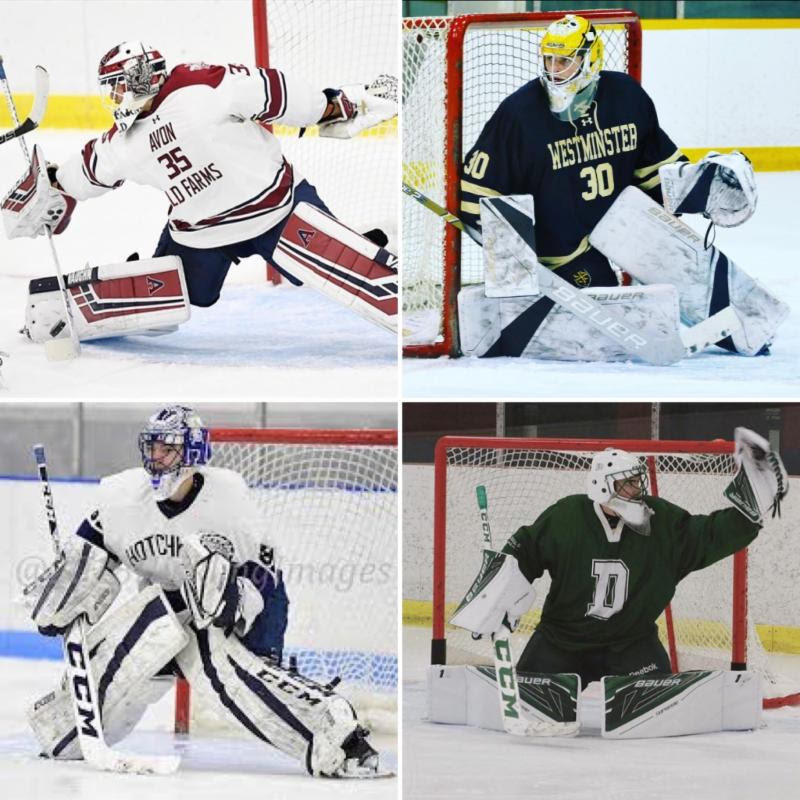 Ian Shane (Westminster School), Thomas Gale (Deerfield Academy) and Henry Wilder (Hotchkiss School) were named to the All NEPSAC - West Team as the top goaltenders. This is a tremendous feat for those goaltenders and each worked individually with a different Pro Crease Goaltending Coach. Ian worked each week with Jared Waimon, Thomas was seen by Shenae Lundberg (a Deerfield alumni) and Mackenzie Bruch worked with Henry all season at Hotchkiss. Alex Aslanidis (Avon Old Farms), Ian Shane and Evan Ruschil (Trinity Pawling School) were named to the All Founder's League Team. Evan is a regular particpant in our Frozen 72 and Elite Week summer camps. Next season, Evan will enroll at Williams College, a top academic and athletics school in the ultra competitive NESCAC. Congratulations to all of our prep school goaltenders!